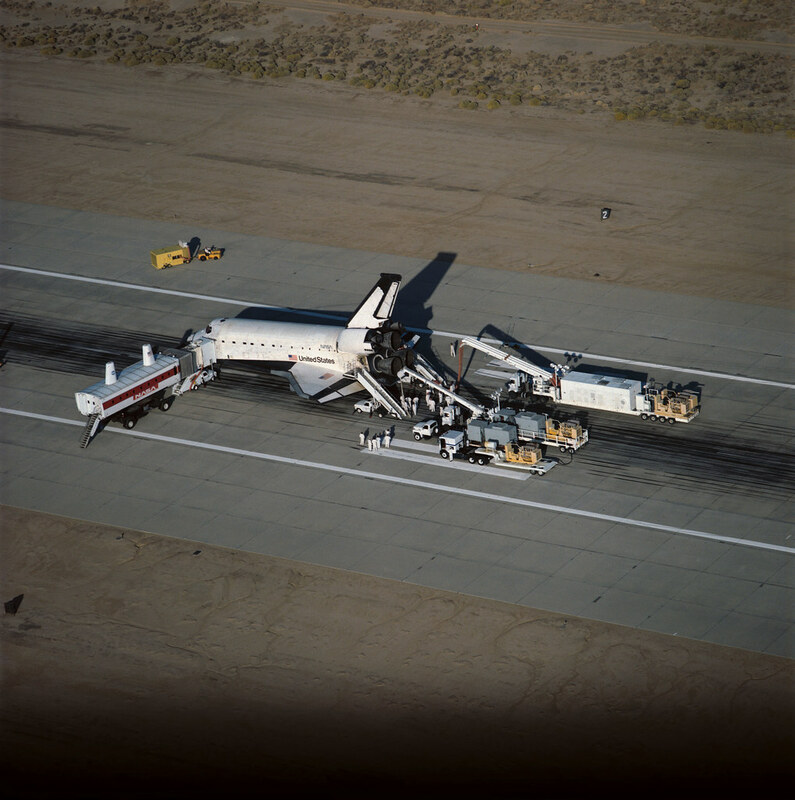 This busy scene on the runway at Edwards Air Force Base (EAFB) was taken less than an hour following the landing of the Space Shuttle Columbia. The touchdown, which had occurred at 7:06 a.m. (PST), November 1, 1993, completed a two week mission in space devoted to medical research. The array of hardware and workers includes personnel and equipment designed to make the area safe. At far left is the Crew Transport Vehicle (CTV). Still onboard the spacecraft were astronauts John E. Blaha, Richard A. Searfoss, Rhea Seddon, Shannon W. Lucid, David A. Wolf and William S. McArthur, along with payload specialist Martin J. Fettman, DVM.